Yuichi Kurita, Biological Systems Engineering Lab. Jumpei Sato, Kazuhiro Takemura, Naoki Yamada, Atsuhide Kishi, Kazuo Nishikawa, Takahide Nouzawa, Toshio Tsuji, and Yuichi Kurita, Investigation of subjective force perception based on estimation of muscle activities during steering operation, 2013 IEEE/SICE International Symposium on System Integration (SII2013), pp. 76-81, Kobe, Japan, Dec.14 - 17, 2013. 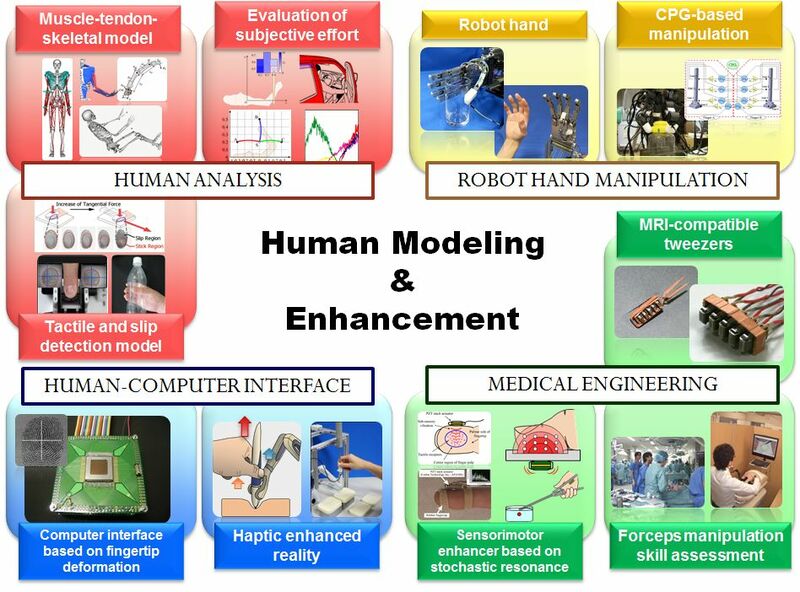 Yuichi Kurita, Hiroyuki Ohtsuka, Kazuyuki Nagata, and Tosho Tsuji, Haptic rendering of needle penetration by enhancing the real force response of a base object, Haptics Symposium, pp.357-360, Houston, Texas, USA, Feb. 23-26, 2014.